Running a Shopify store is a great way to net some extra cash on the side or—if you really know what you're doing—replace your 9-to-5 altogether. However, success doesn't come naturally, and newcomers tend to receive mixed results when starting on their own. This E-Commerce Bootcamp can help start your Shopify venture off on the right foot, and it's available in the Boing Boing Store for $29. Led by a duo of Shopify gurus, this course will show you how to build your store with a no-fluff setup checklist. You'll learn from their experiences developing six-figure and seven-figure online stores as you walk through a sales funnel and explore targeting the right markets to grow your audience. Make your way through the collection, and you'll have the skills required to launch your Shopify store and generate leads right away. 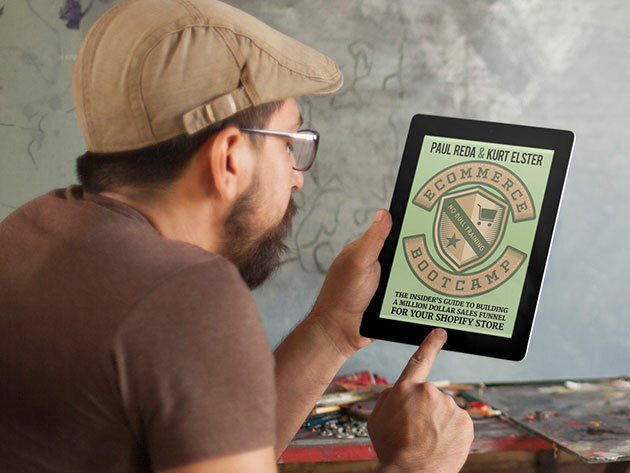 The E-Commerce Bootcamp is available in the Boing Boing Store for $29, 75% off its usual retail price.